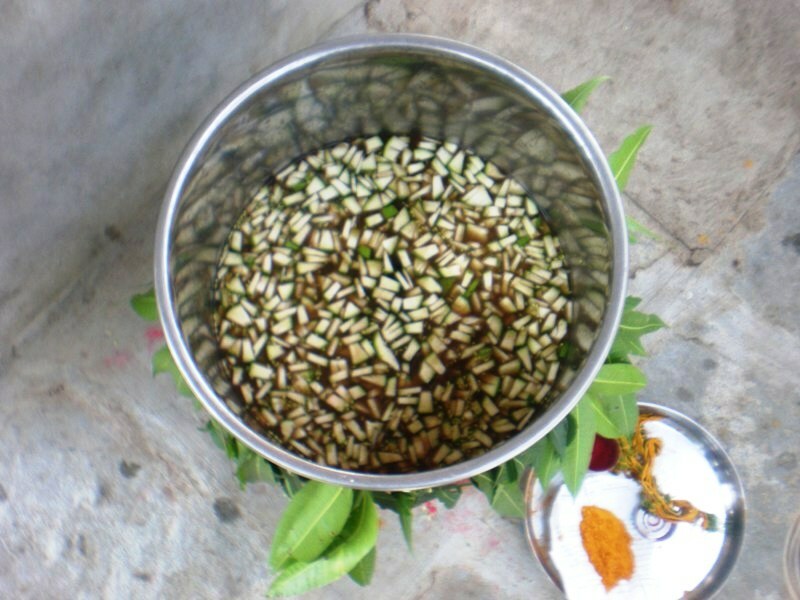 Yugādi or Ugadi is the New Year’s Day for Telugu people. The name Yugadi or Ugadi is derived from the Sanskrit words *yuga* (age) and *adi* (beginning): “the beginning of a new age”. Rollakal School celebrated UGADI FESTIVAL on 29th March. They organized activities around the ‘Balanandam’ program, during which they discussed the meaning of the festival, why it is celebrated and its relevance. Such discussions on traditional ceremonies and ritual practices deepens students’ understanding of the history and culture of the region they live in, not just from the perspective of tradition, but also the legacy and it’s contemporary meaning. The children & teachers were treated with Ugadi Pachadi, which combines the flavours of bitter, sweet, sour and spicy, as a corollary to appreciate that life brings with it varied experiences that must be accepted. It was a day of fun and reflection in the school.